Intrigued to know those staples or key foods that dietitians rely on regularly to help them stay on track when life gets busy? I was too! So I asked fellow colleagues to send me their “TOP FIVE FOODS” – not the five healthiest foods they eat, but rather their daily “go-to” foods or the ones they rely on to stay fueled and satisfied on busy days. Over 20 dietitians sent me their lists and among the 100+ answers, there were SIX foods that were overwhelmingly consistent. 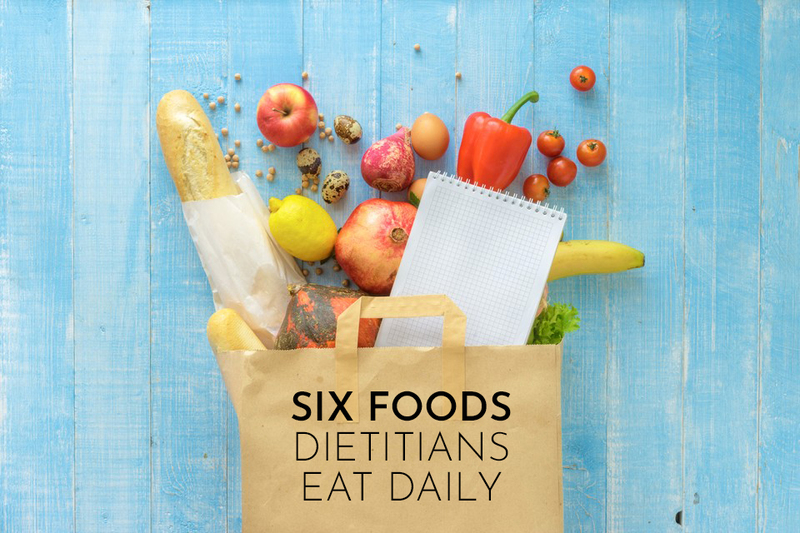 Check out the top foods that dietitians eat daily in my latest CookingLight article: 6 Foods Dietitians Eat Everyday. SURPRISE: Salmon and Kale did NOT make the list! What are your favorite foods to consume daily? Copyright 2018 Carolyn Land Williams.